For next day, weekend & overseas deliveries please call 01772 703 636. Jeaton offer a comprehensive range of point-of-use vending solutions that allow your company to maximise efficiency and return on investment within your supply chain. We can build and configure a system that matches your business requirements whether it is a stand-alone product or a fully integrated dispensing solution. 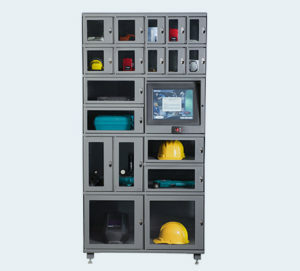 Jeaton can supply fully customisable systems designed to offer secure and managed storage of consumable and returnable tools, supplies and other assets. The system can be designed to your exact specification with a variety of configurable compartment sizes to suit your needs. Jeaton also has the ability to monitor stock levels and activity at your device 24 hours a day, as well as sending alerts on time specific items, which means you can have complete control over the system from any device with a web connection. If you’re looking to maximise your storage without compromising on space then Jeaton offers the ideal balance for you – high capacity with a small footprint. We offer a comprehensive suite of Point-of-Use vending solutions for a wide range of industrial applications. Jeaton provides reliable vending with absolute control in even the harshest industrial environments. You can completely customise the configuration to meet a diverse range of products. The patented multiple motor rotation means that you are guaranteed successful vending every time, even with large items. Boasting a maximum of 70 individual stock keeping units and a weight capacity of up to 45 kg per tray, our vending machines are suitable for dispensing cutting tools, hand tools, PPE, medical supplies, tape, batteries and much more. We can provide absolute control over your system with the ability to monitor all transactions and stock levels at your device from anywhere in the world. All you need is a network connection and a power supply!